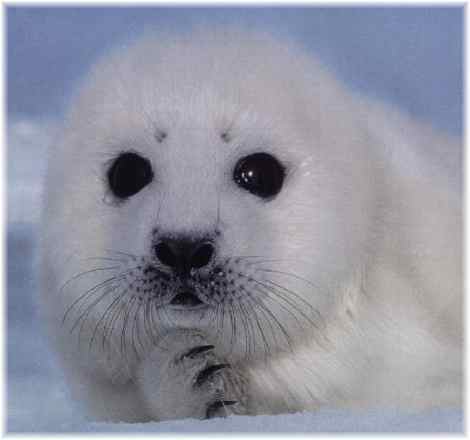 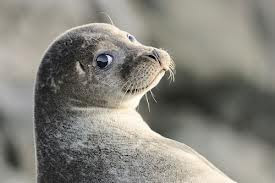 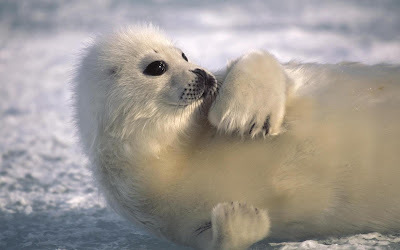 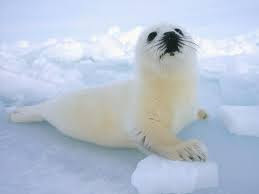 The harbor (or harbour) seal (Phoca vitulina), also known as the common seal, is a true seal found along temperate and Arctic marine coastlines of the Northern Hemisphere. 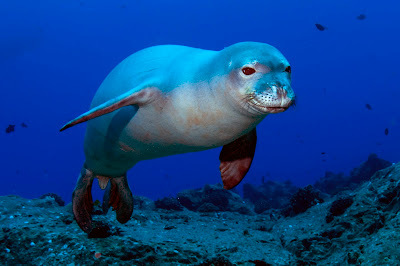 The most widely distributed of pinniped (walruses, eared seals, and true seals), they are found in coastal waters of the northern Atlantic and Pacific oceans, the Baltic and North Seas. 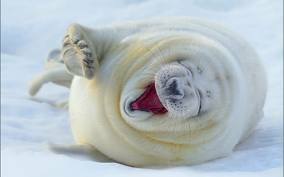 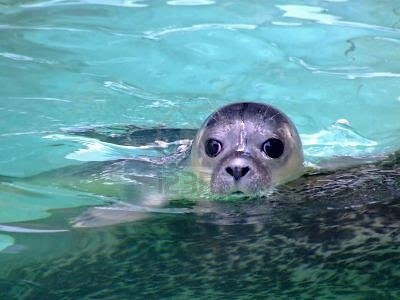 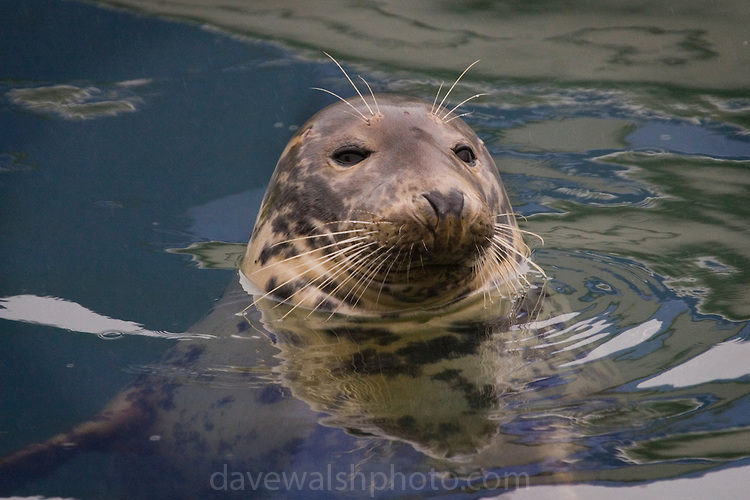 Harbor seals are brown, tan, or gray, with distinctive V-shaped nostrils. 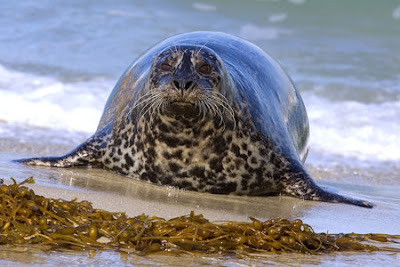 An adult can attain a length of 1.85 meters (6.1 ft) and a mass of 132 kilograms (290 lb). 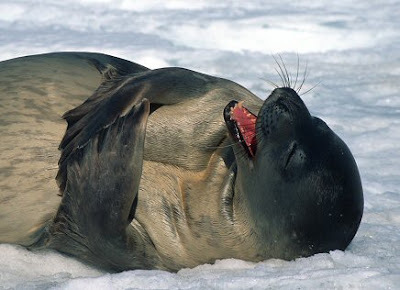 Females outlive males (30–35 years versus 20–25 years).